Learn stack and queue. Implement them using linked lists. For more fun - try implementing stacks and queues using arrays. Implement vector data structure in C++ on your own. It is simple - when you run out of space, allocate twice the memory you had allocated previously and copy all the data to newly allocated array. 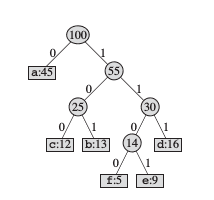 Binary Search Tree - Implement the basic binary search tree and set operations using it - insert, delete, find elements in it. You might come across performance issues for certain inputs. Why? Now learn about “Balanced” binary search trees like AVL Tree and Red-Black Trees and try implementing them - This is hard, tedious and scary to implement and debug. Expect lot of Segmentation faults. Now it is time to look at another technique - Greedy algorithms. Study standard problems which use greedy technique like selecting largest number of intervals among given ones so that there is no conflict. You’ll see more later. Let’s build a maze solver - Learn and implement Depth First Search (DFS) and Breadth First Search (BFS). They are basic searching techniques. Let’s implement our version of Google Maps - Finding the shortest path between two given places given a roadmap. Learn and implement the algorithms of Dijkstra, Bellman-Ford and Floyd-Warshall. Introduction to Algorithms - CLRS (Chapters are in the order I have written. I have skipped some chapters in it). I suggest this one along with the DSA course from Stanford on Coursera. Advanced Data Structures - As the course says, this is VERY advanced. If you are ready to go deeper, then go here. GeeksforGeeks - It is very helpful, especially if you are preparing for an interview.